Well even with us all feeling a bit rundown and/or sick, we managed to have a fun St. Patrick's Day with two of the meals Irish themed.We took the recipes from two books we got out of the library. 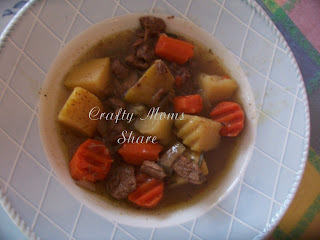 We started by putting an Irish Stew in the Crockpot this morning. Hazel helped chop the carrots and potatoes for it. I browned the meat (we used beef since lamb is not a liked in my family), chopped the onions and fresh rosemary. We also added dried thyme, salt and pepper and water (beef broth would have been better). While chopping Hazel got a little silly and decided to try a carrot for a nose. Then we cooked it on low for the day. Around 3:00 I added the water and flour mixture to thicken it, but it did not really thicken. I never seem to get my stews to thicken in my Crockpot. Oh, well, no one in the family minds. At lunch we tried Irish Cheese Toast. 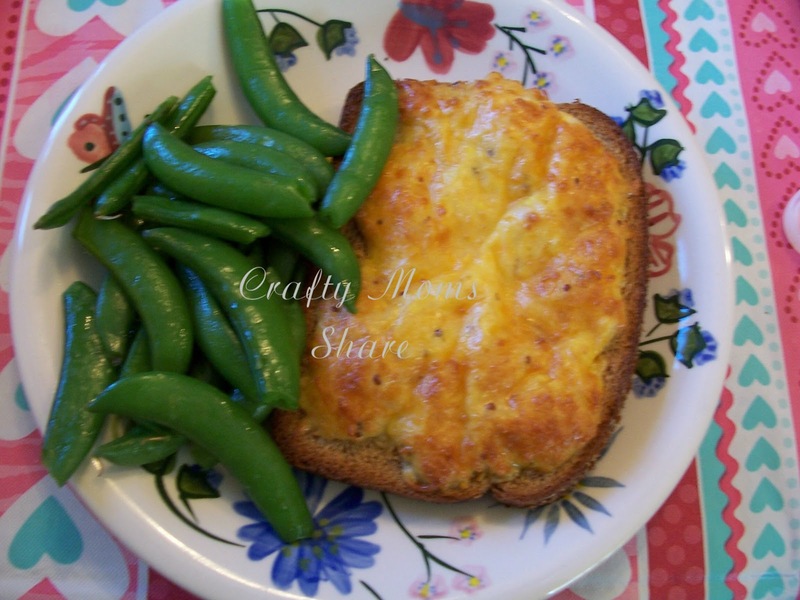 This was an interesting twist on an open-faced grilled cheese sandwich. You buttered one side of the bread and then combined egg, cheese and grainy mustard and spread it onto the bread. 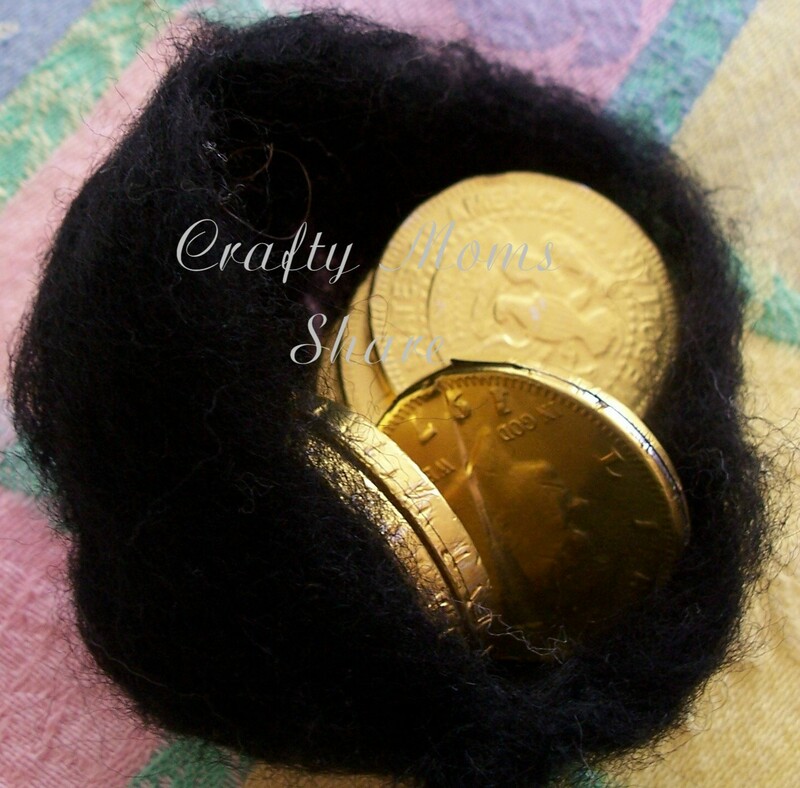 Then you baked it until it was golden brown and puffy. Hazel helped crack the eggs and mix everything together. We all enjoyed this very much. Hazel and I steamed some sugar snap peas to have a little green on the plate as well. 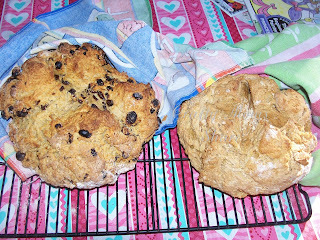 Then this afternoon we made some Irish soda bread. 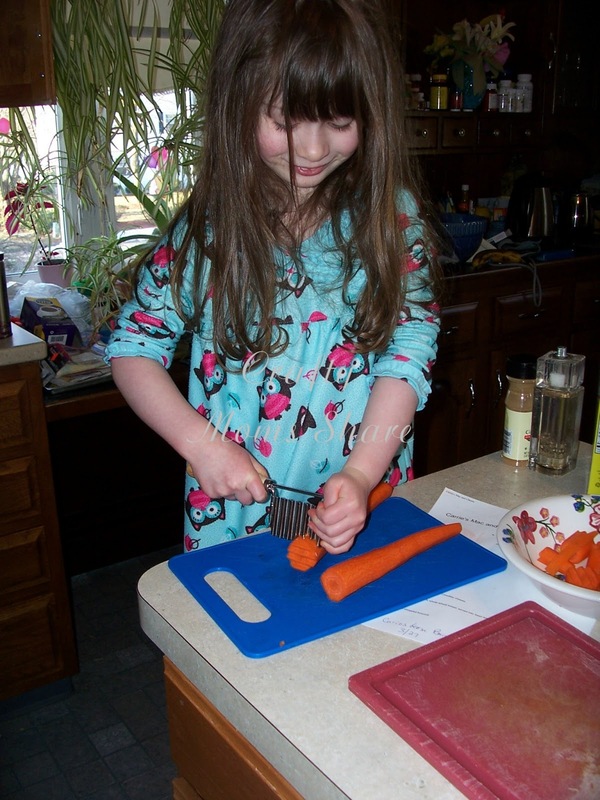 Each of our cookbooks had very different recipes. One was a more basic traditional recipe: flour, baking soda, salt and buttermilk. We made that one to go with the stew. It seemed very dry and hard to form, though that may have been Hazel's measurements. Overall the family did not like it. 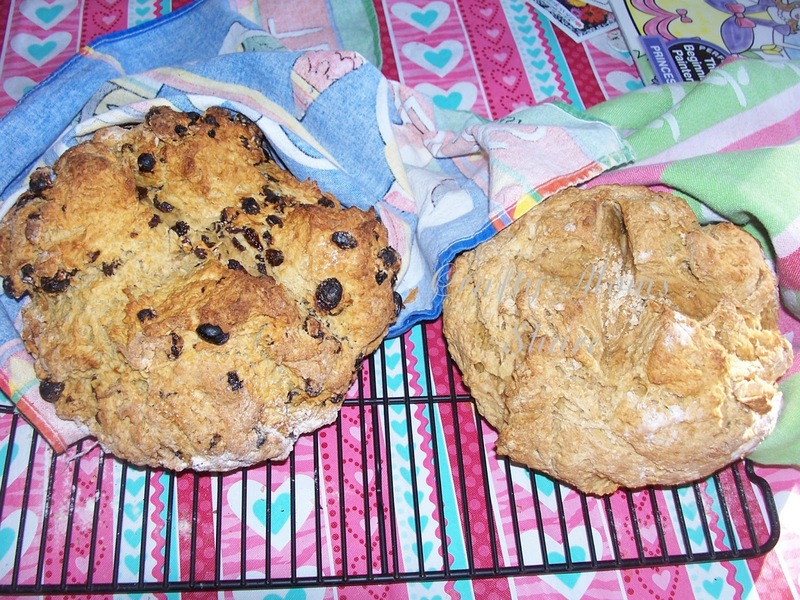 We made the other one which included sugar, raisins, egg and butter oh and baking powder as well as the items in the basic recipe. We figured we would try that one for breakfast. I'll have to let you know how it turned out. 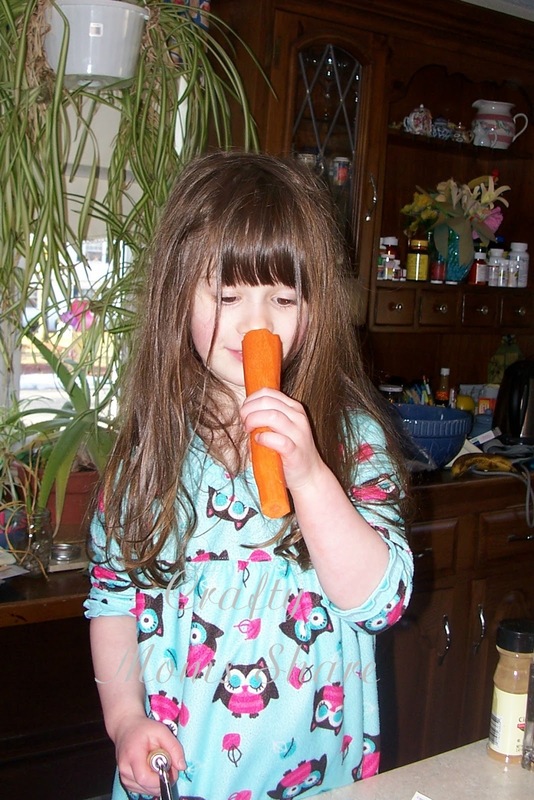 Oh, and Hazel was very excited this morning to see she had something in her leprechaun trap. 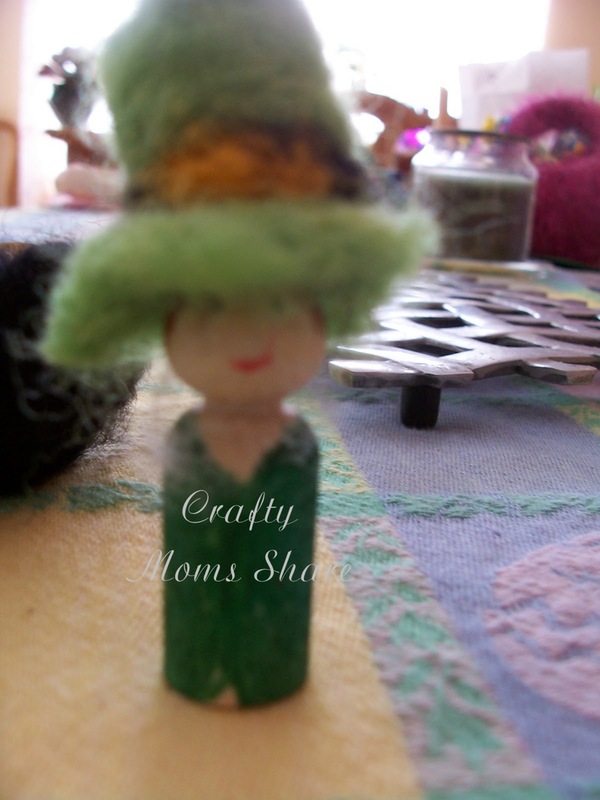 A leprechaun visited and left her a peg doll leprechaun (which she asked me if he was real) and a black needle felted bowl of chocolate gold coins. Here are some of the other Irish/St. 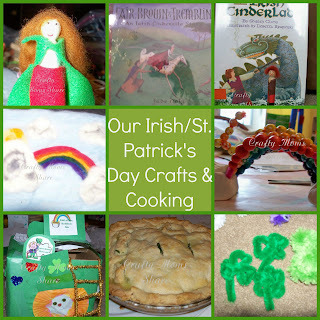 Patrick's Day crafts we have done. 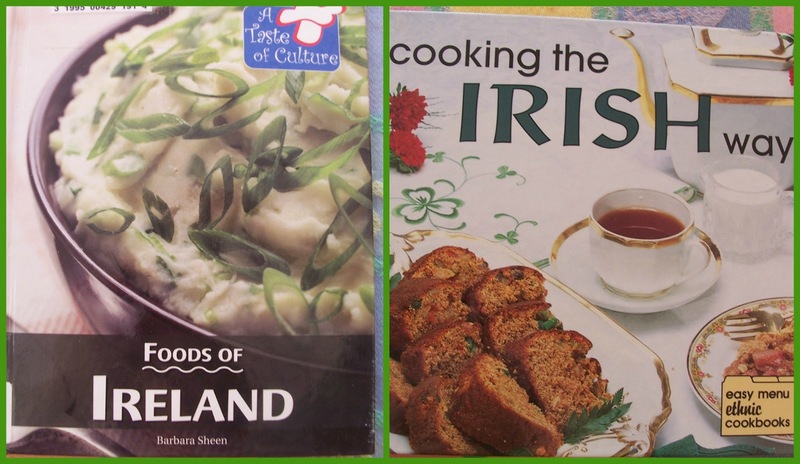 We have also been reading some Irish stories from books from the library, but I haven't taken pictures of them yet. Sorry! 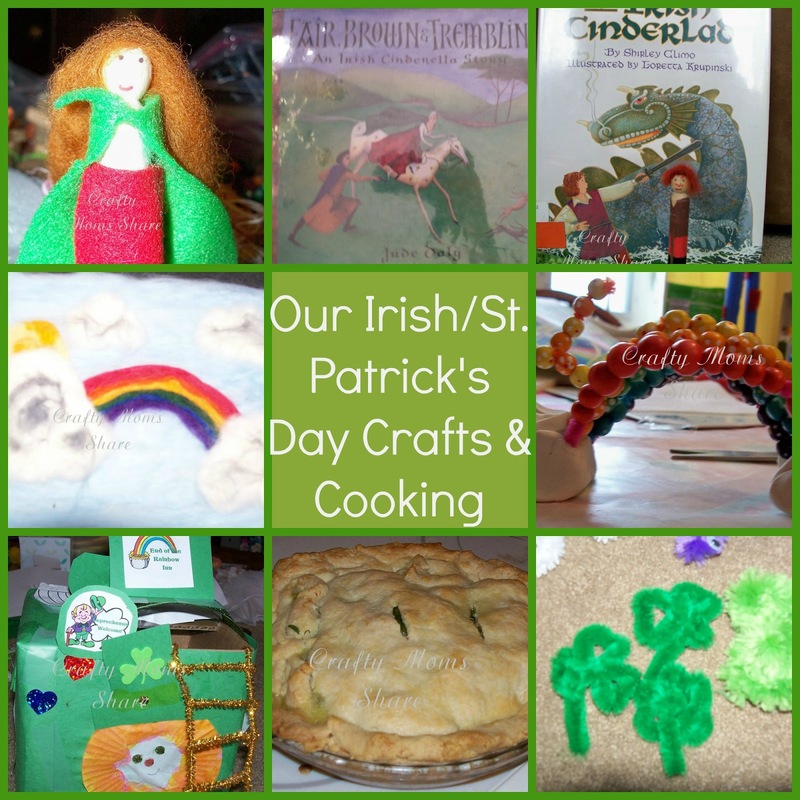 You can find an Ireland coloring placemat right here and the passport right here (the cover for the passport is right here for you! ).